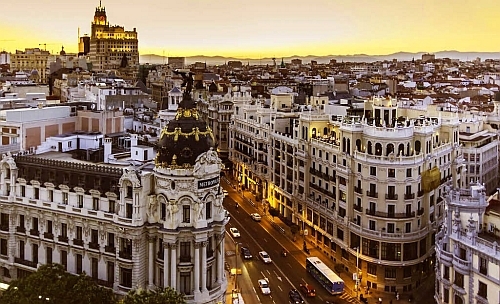 The Oneworld Alliance (British Airways, Iberia, Finnair) are showing off-season fares from Seattle to Madrid, Spain in February and March for $498 CAD roundtrip including taxes. The flights have 1 stop each way, somewhere in the U.S. (Philadelphia, New York). The cheapest flights from Vancouver to Spain in these months are currently going for around $1050-$1100 CAD roundtrip. 2. Click on the departure date box to open up the calendar view and look for the cheaper date combinations. - Look for the dates that are in the $500s roundtrip. - From Google Flights you may be able to click through to the airline's website to book these (but not always). and searching for the same destination and dates you tried on Google Flights. IMPORTANT: Many of the booking sites showing these fares on Momondo are in $USD - so watch out for that. TIP: Once your Momondo search completes, try sliding the Max Flight Duration slider on the left down to around 40, to filter out really long flights. You can also try selecting 'Max. 1 Stop' on the left hand side. Seattle to Spain - $387 roundtrip after tax! flight deals, seattle, sea, europe, spain, madrid, mad, american airlines, western europe, southern europe, iberia, british airways, bilbao, bio, valencia and vlc.